Test for colorfastness. Always apply enough to assure direct contact with odor source. In some cases this means saturation. Virtually no dwell time needed. Add 4 to 8 ounces per gallon of water depending on the severity of the odor to spray on carpet, upholstery or hard surfaces. Flash Xtractor Usage: Saturate the area with Hydrocide™ and flush area with the Flash Xtractor by adding more water in the process. Follow up with a misting of the area with Hydrocide™ and/or Bridgepoint Bio-Modifier or Bio Charge. One additional benefit is that Hydrocide™ has a polymer in the formulation which retards resoiling. Prespray Additive: Add up to eight ounces per gallon of ready to use prespray to deal with odors prior to cleaning. 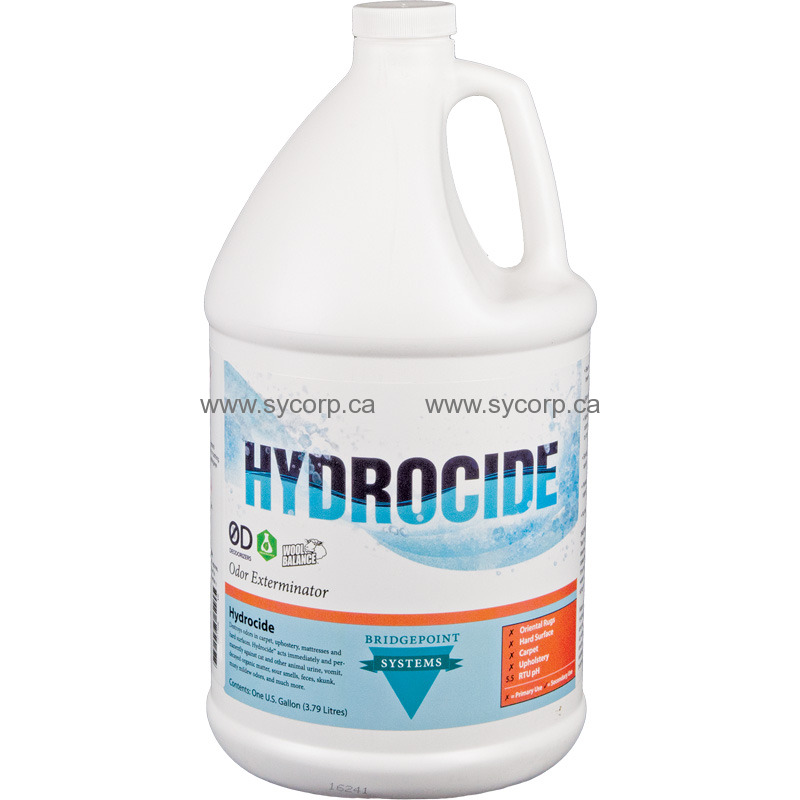 Be aware that the addition of Hydrocide™ may neutralize some fragrances.